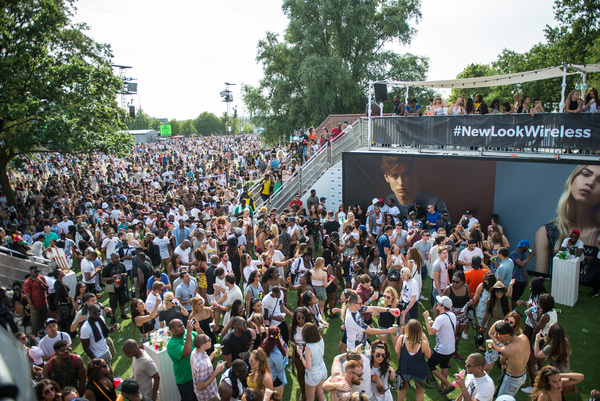 As a title sponsor of Wireless Festival, New Look had a big role and opportunity to make a lasting impression on the festival goers. The brand’s fit with the Wireless audience was perfect and New Look aimed to be the place to be and place to be seen on the festival site. They not only wanted to entertain the public but also add value to the festival experience. 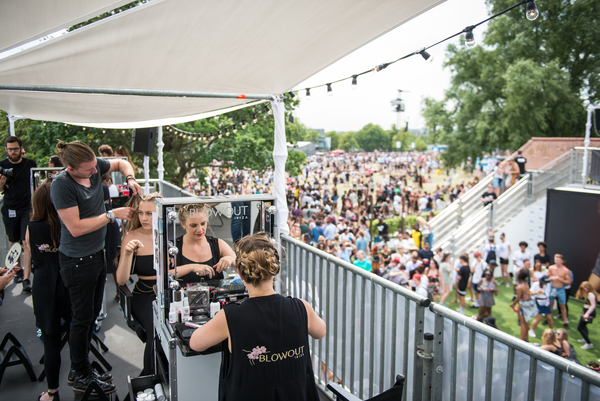 We created a two tiered courtyard of fun including pamper and styling stations, a DIY styling area, chillout spaces, a bar, live performances, DJ’s, pull-up and limbo competitions to win side of stage viewings and a retail area. As the client had hoped, the area was the place that the crowds gravitated towards. With the large number of treats, entertainment and possibilities people just didn't find many reason to leave the activation. Artists such as Raleigh Ritchie and Indiana made exclusive appearances and performances in the activation area to the crowd's delight. The New Look area was unique on the Wireless festival site and was a huge success for all parties involved. We hope to repeat this success in 2016. Production design, build and management, budget management and artist booking.